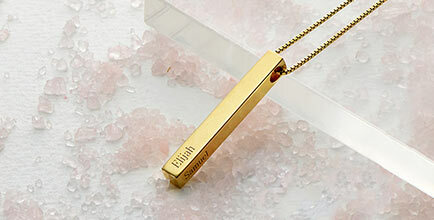 Ultra-stylish, super-sophisticated, and sure to be appreciated by its wearer, our Signature Style Name Necklace (Rose Gold Plated) makes the ultimate gift for any occasion. 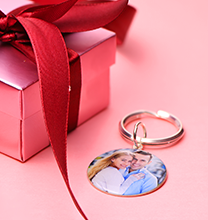 Whether you’re looking for a treat for yourself, a meaningful mother’s day gift for mum or grandma, or something special for your maid of honor or best friend, this may be just the thing. This gorgeous signature necklace is made of sterling silver with exquisite 18ct rose gold plate for a warm, soft glow next to skin. 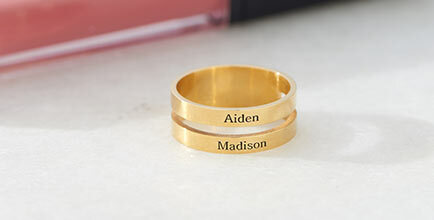 It features a single name or word in delicate script, and hangs from a matching cable chain for a centred, perfectly balanced appearance. 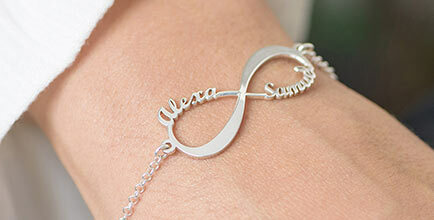 This personalised necklace is also available in Silver and Gold Plating. Both colours are wonderfully versatile, pairing beautifully with a wide variety of fashions and easily complementing a variety of jewellery styles. 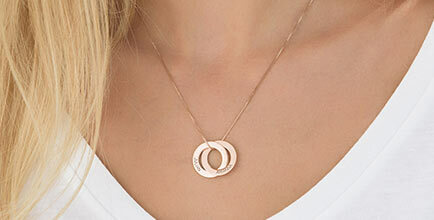 See our collection for even more rose gold plated necklaces to fall in love with!